Half of all school appeals against education inspectors in England are upheld, Ofsted figures suggest. Between September 2005 and January 2007, 194 primaries and 61 secondaries made complaints, data released under the Freedom of Information Act showed. Of these 96 complaints from primaries and 30 from secondaries - nearly 50% - were either fully or partly upheld, the Times Educational Supplement reports. Ofsted stressed only a small proportion of inspections were challenged. It also said most complaints were only partially upheld. This is where one or more aspect of the complaint, but not all, was found to be justified. Of the 194 inspection complaints from primary schools, 80 were partially upheld and 16 fully. Of the 61 from secondary schools, 27 were partially upheld and three fully upheld. An Ofsted spokeswoman said: "Ofsted takes all complaints seriously. Only a small proportion of all inspections give rise to a complaint." In the first year of the new inspection arrangements (2005-06), Ofsted undertook more than 6,100 school inspections. "Of these, only 307 resulted in a complaint - approximately 5% of the inspections carried out." But this might change in view of the success rate and with encouragement from the top. The chief inspector, Christine Gilbert, urged schools at a teaching union conference to challenge inspection results if they felt they were unfair. She told the Association of School and College Leaders conference she had been surprised that the complaints procedure was hardly used. "Use that procedure if there is something wrong," she added. ASCL inspections consultant Keith Dennis told the TES the figures surprised him because he had previously thought "the system was weighted against the complainant". Back in February, Ms Gilbert urged teachers to write and complain to her about inspectors' over-zealous use of school performance data. She told a National Association of Schoolmasters Union of Women Teachers (NASUWT) conference in Birmingham she had received "numerous complaints" about the way new data designed to show children's progress was being used by inspectors. Teaching unions have long complained about education inspectors and their reports, which can decide the fate of schools. 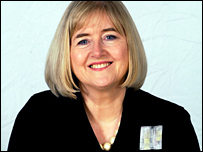 The head of the NASUWT, Chris Keates, says Ofsted should be scrapped.